Rita Ora ditches the traditional Santa look for something a bit... different. 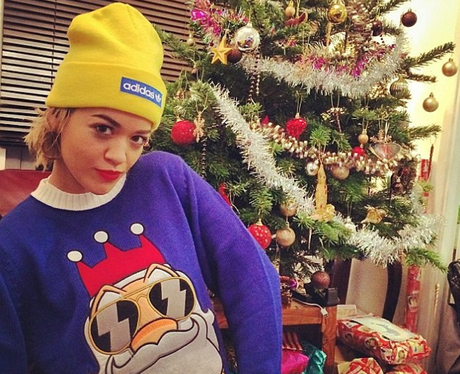 December's Here... Got Your Christmas Jumper At The Ready Like These 19 Celebs?! 9. Rita Ora ditches the traditional Santa look for something a bit... different. See the full gallery: December's Here... Got Your Christmas Jumper At The Ready Like These 19 Celebs? !